Hello! 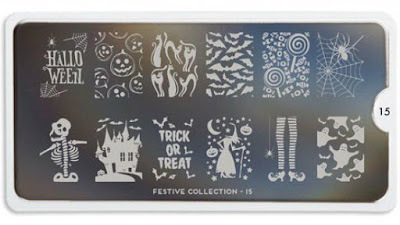 Today I am back with the second prompt of 26 Great Nail Art Ideas (Crumpet's Nail Tarts), which is 'Halloween in the Wrong Colours'. I've been looking forward to this one, and I can't wait to see what colours everyone else uses. I decided to go with pastel yellow and bright pink, and went for bats. Read on to find out more! 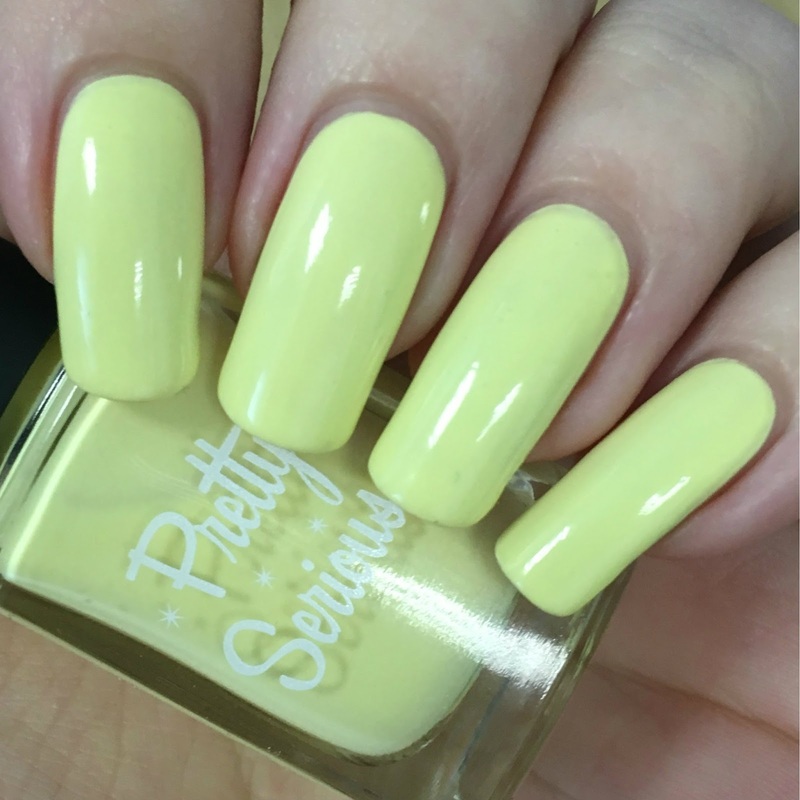 I started with a base of Pretty Serious Cosmetics 'Little Duckling', the yellow from the popular Pastel Pet Names collection. The formula for this (considering it's not only a pastel, but a pastel yellow!) is amazing. It is very smooth and self levelling, and although a tad streaky on the first coat, it evens out perfectly with two. It also dries glossy. Below is two coats and topcoat. For my stamping I used the bat image on the top row of MoYou London Festive plate 15. 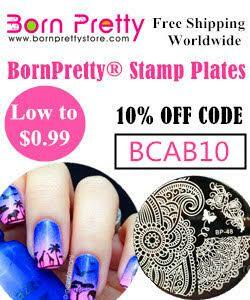 I stamped over each nail using my Born Pretty Store clear stamper, and their pink stamping polish (both reviewed here). 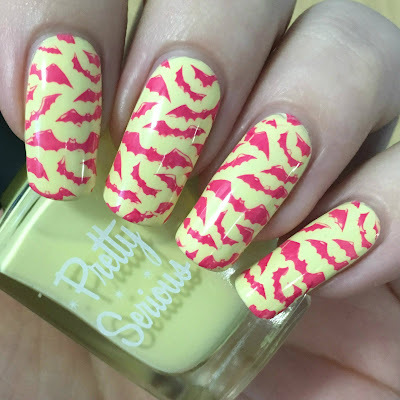 I've really been loving the clear stamper, even if I don't need to worry too much about placement. I let my bats dry for a few minutes before adding a final topcoat. What do you think? I actually really enjoyed using the 'wrong' colours - I think it makes the bats look really cute! Which colours would you have chosen? Make sure to have a look at the link-up below for everyone elses contributions. I'll be back in two weeks for the next theme, don't miss it! I really love wrong colour looks! It's challenging but fun to think outside the box! Very cute! Def the wrong colours. I've loved seeing these pop up, the variety is amazing. I love this out of the box idea. I for sure wouldn't have thought of using these two colors for a Halloween mani! Wrong colors or not, I love this manicure! That yellow is to die for! Duckling is gorgeous and I love those pink bats!